In need of a specific upgrade for your Jeep SUV? The massive selection of parts and accessories at John Greene Chrysler Dodge Jeep Ram in Morganton, North Carolina is the place to be! Factory-certified is the name of the game when it comes to our parts, meaning each and every addition you make to your Jeep will be a genuine MOPAR piece to ensure a perfect fit every time. What's more is that our parts department is staffed by a team that knows the ins and outs of Jeep, meaning that the best possible team will be putting on the best possible parts. Find your way to our Morganton, NC location today to see how you can improve your Jeep SUV. Order Jeep Parts at your Morganton, NC Jeep Dealership. The parts at John Greene Chrysler Dodge Jeep Ram in Morganton, NC range from the most important replacement pieces like exhaust systems and radiators to the most niche add-ons to help perfect your Jeep SUV's look. 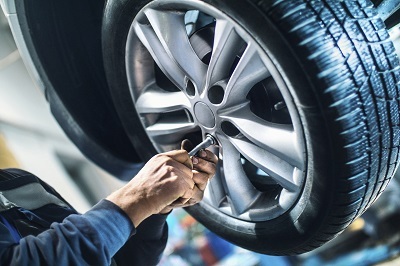 The certified automotive professionals and technicians at our parts department will bring out the best in your vehicle to ensure that as you drive off the lot you have the exact look and feel you're going for. For a factory fit and personalized appearance on your Jeep, look no further than our team in Morganton, NC! You can contact us anytime to discover the best practices when it comes to fitting and customizing your vehicle with MOPAR parts and accessories, including how your fuel rating may change or the value of the vehicle itself. Give our experts a call today to learn more!